Donate your Day or Become a Zero Hunger Hero! What special occasion are you celebrating this year? Do you want your big day to have a big impact? Whether it's your birthday, your anniversary, or your wedding day, make it even more special by donating your day and changing a child's life. Looking to get a group of friends, family, co-workers or students together to support a great cause? 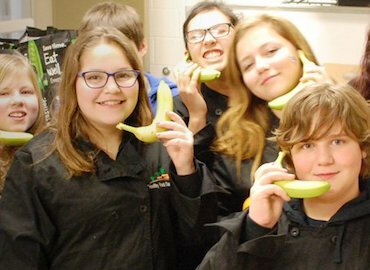 Plan your group fundraiser in support of Canadian Feed The Children and become a Zero Hunger Hero! It's easy to do! Just set up your online fundraising page, personalize it with the details about your special day, and share it with your friends and family. Thank you for helping children thrive in Canada and around the world! Calling all schools to join CFTC's Uniform Exchange! As you are planning your school “FUN”draising efforts for 2018-2019 we hope you will consider joining CFTC's Uniform Exchange! For many children in international communities, school uniforms are mandatory but often unaffordable. By making a $2 donation and trading in their school uniforms for Civvies Day or Casual Day your students are supporting children in Uganda, Ethiopia and Ghana to reach their full potential. By spending a day not wearing their uniform, your students will be making sure children around the world will be able to attend school…happily wearing their uniforms. Get inspired by these Zero Hunger Hero stories from youth in Canada and around the world. These (printable) downloads help boost your fundraising! Don't forget to tell us what you're up to on Facebook, Twitter, and Instagram!